As we head into the holidays, we inadvertently start craving (and making) more comfort food. Comfort food, like comfort itself, comes in many shapes and sizes. For some, it is their family Thanksgiving turkey stuffing, for others it is mashed potatoes. For my 5 year old daughter it is undoubtedly gummy bears. One thing that’s on everyone’s comfort food list is pie. The idea of pie immediately evokes the sense of home, coziness, tradition, and of course, comfort. 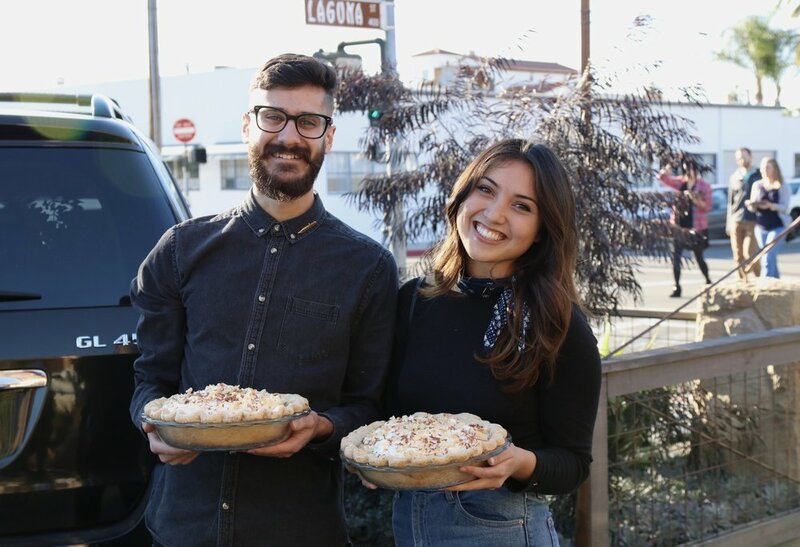 Santa Barbara’s Spectacular Pie Contest (in its 3rd year) combines all these attributes and then some. 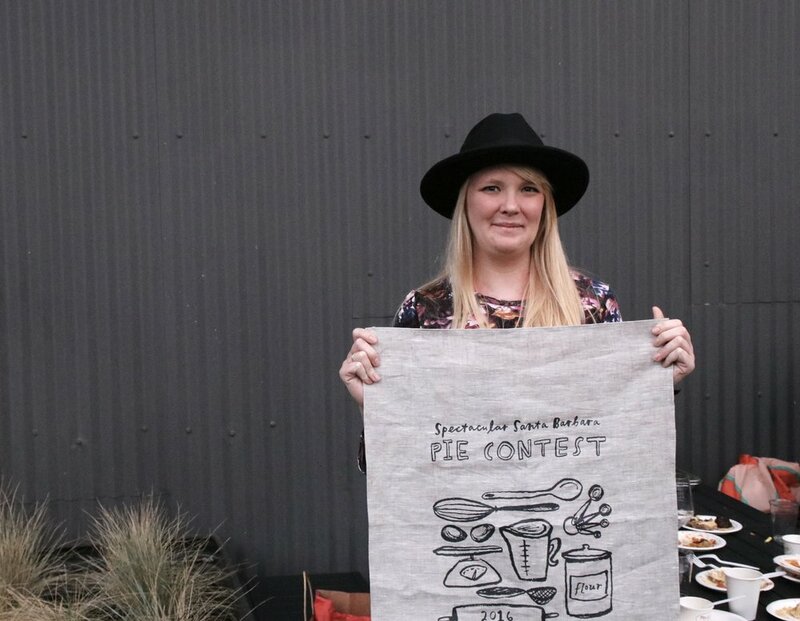 The recipe for the event is simple: pie makers enter their pie into the contest, people gather to eat every one of them to the last crumb, judges and eaters cast their respective votes, and the winners receive prizes from sponsors along with some serious small town fame. What drew me to contribute to this event last year by sponsoring one of the prizes was the fact that the proceeds from the event went to Santa Barbara Transition House, and thus to the people in our community who lack the basic level of comfort—a home. This year’s proceeds will go to another local charity that provides nourishment to the less fortunate: Santa Barbara Food Bank. And again this year, for all the same reasons, FOLD is proud to join the event as a sponsor. Below are some photos capturing some of the moments of the 2016 Pie Contest, with all the credits at the end of the post. To enter as contestant, follow this link. One of the pies in the line-up. Contestants came up with clever ways to describe and name their creations. Signs by Joya Rose Groves. Foraged seasonal garland by Olivetta Flowers and Foliage. The cutest contestants arriving to the event. Every contestant has to bake two identical pies. Crowds lining up outside Potek Winery for their slice (or two). Popular votes are being cast. Judges are getting ready to deliberate. 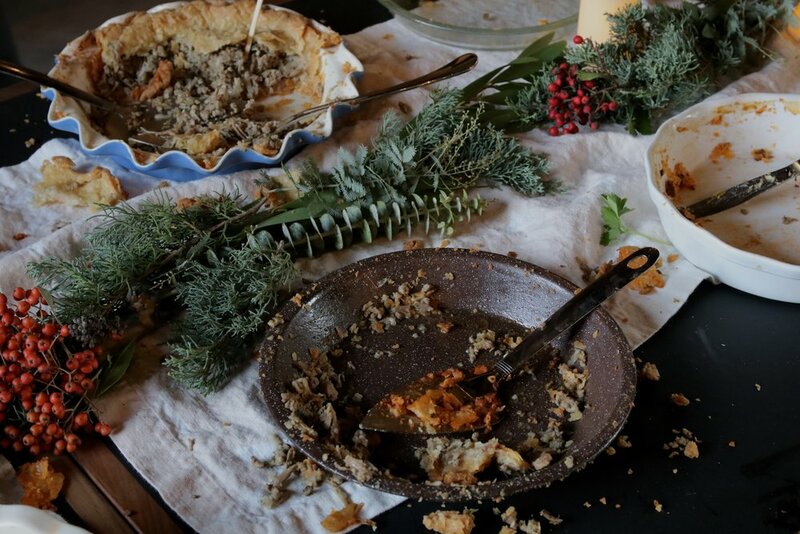 The aftermath (and a glimpse of the linen runners supplied by FOLD to style the pie feasting tables). One of the winners proudly receiving my screen printed towel as a prize. Original artwork by Joya Rose Groves. The courtyard at Potek Winery looking festive with our linen garland and greenery by Ella & Louie.